We’re guessing Congressman Mike Coffman is pretty used to the low-brow behavior by the left by now. Another election cycle, another round of lies and falsehoods thrown at him by the angry left. 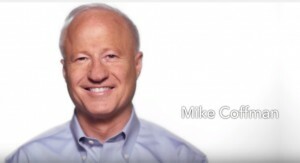 Last we checked Mike Coffman was investing most his time fighting for an accountable Veterans Administration, a strong national defense, and a prosperous economy – things that voters in his district have prioritized in their own lives. In fact, in 2013 Coffman actually sponsored legislation to make the Employment Non-Discrimination Act protect LGBTQ individuals from workplace discrimination, so the DCCC’s claim rings hollow. Please continue to take anything coming out of the DCCC, and for that matter the Hillary Clinton campaign, with a grain of salt. They are starting to get desperate because Democratic challenger Morgan Carroll’s campaign is simply not gaining traction. « MIA: Why Can’t Michael Bennet Get Excited About Hillary Clinton?